Dimensions 0.25 by 10.75 by 9.75 in. Come on a prehistoric dinosaur-packed adventure with Katie! When Katie visits the Natural History Museum with Grandma, she finds a very mysterious door . . . and steps back in time to the world of the dinosaurs! 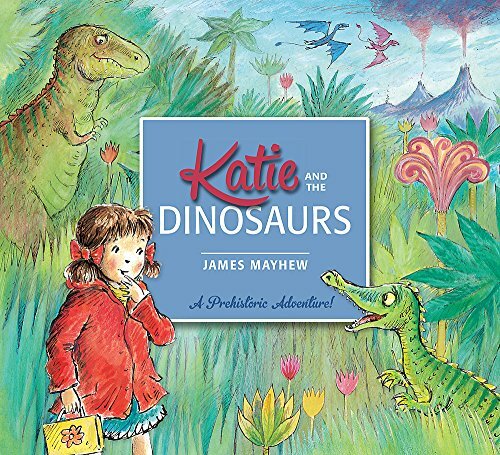 Katie helps a baby dinosaur find his family, rides on the back of a Brontosaurus, and has a picnic with a Triceratops. But just what will she feed a very hungry and fearsome Tyrannosaurus Rex? Katie has been delighting children for over 25 years. Why not collect all 13 books in the series? About: Come on a prehistoric dinosaur-packed adventure with Katie!